Make it happen – just do it! An old friend (‘old’ as in long-time, not years – right DD?) inspired this blog. She has a lot to offer the world but doesn’t believe it. I wanted to publish a book; I had to become an author, a publisher and a marketing expert (still a way to go with that last one!) It was tough, very tough (and still is), but I wanted it that badly I made it happen. 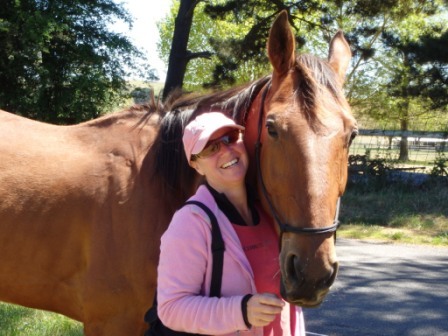 I now want to help rescue Australian Standard-bred horses. 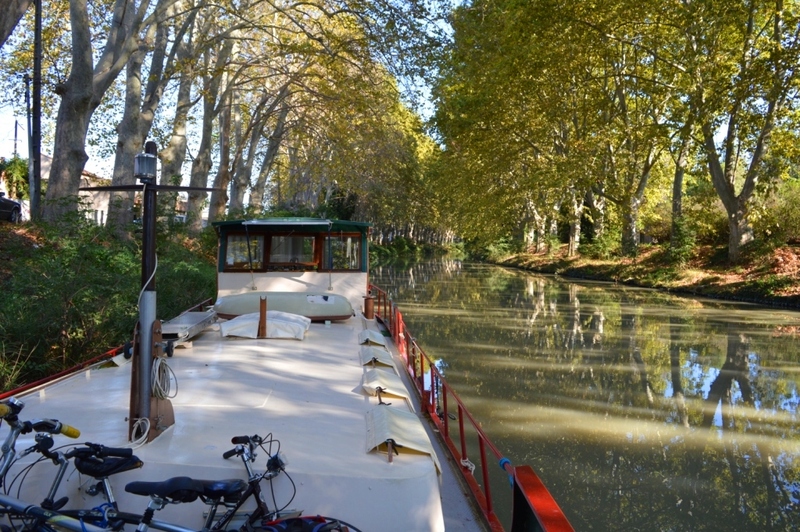 But how, on earth, do I do that from a boat in France? I’ll keep writing. My next book is about two very sore bottoms, five ‘four-legged’ friends, one tent and a heart-warming, hysterical story. Noel and I spent a few months riding along the Bicentennial National Trail of Australia. We adopted (rescued) five scared, scatty horses and set off with a tent and not much else. 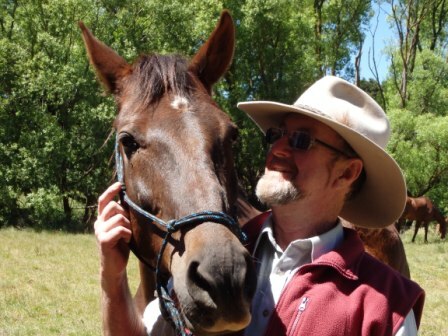 A percentage of proceeds, from this story, will be donated to the SPPHA (The Standard Pleasure and Performance Horse Association), who do a fantastic job in re-homing retired trotters that are otherwise, set to be put down. Trotters which are usually young, worn out, badly treated and have so much to offer. In the meantime you can read of our adventures on the high seas here. 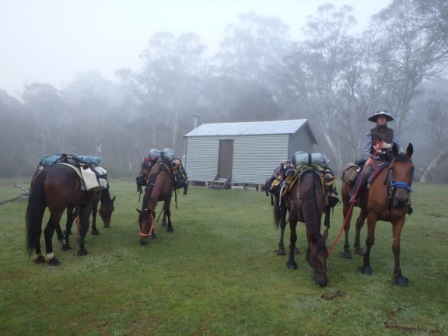 Categories: Life's Little Escapades, Loving life, On the hoof | Tags: Australia trekking, Bicentennial National Trail, BNT, charity for horses, gift for horses, horse trekking, Horses, love of horses, raise money for horses, rescue horses, riding | Permalink. My Mum loves horses. She desperately wanted me to be a horsey kid. Bought me ponies etc. But I was allergic to them! (Still am!) so anyway thats when I started sailing – something that no one else in my family particularly liked or was interested in. Ah well…! I do love horses, they just make me sneeze! I can’t wait to read your story about your adventures on them! Hey Jackie – I love your mantra, ‘If you want something you’ve never had, you’ve got to do something you’ve never done’! And I love your passion and excitement about being an author, publisher…marketing expert. You’re an inspiration. Can’t wait to read more about the horses – while we’re wintering in Marina di Ragusa I have my daughter going to horseback lessons every week – she’s loving the experience and I’m enjoying the perma-grin that she has while riding. Hi Kim, Thanks so much for that. I am constantly stepping outside my comfort zone and doing new things – I must admit, I am addicted, I get bored so easily and have a constant need for a challenge (that doesn’t stop be whining about it some days! 😉 ) Lovely idea with the riding, horses and boats seem to come hand in hand, I don’t know anything about Italian horses, but love the Lipizzan horses in Spain and the Friesland horses in Holland – just gorgeous! 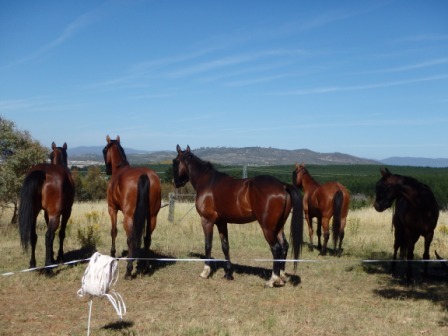 Horses are my first love, and our five boys are being looked after by friends and I miss them each and every day… the story of our trekking will make you laugh. Noel and I weren’t very good at it – infact, it is something I want to re-visit and make it successful. What was a success was turning 5 scared, unloved boys into amazing creatures. They became valued, loved and gave us back so much, just the thought brings me to tears most days…. it is rather an incredible story…. Enjoy Italy, I am jealous, we’ve ‘touched’ the toes ones, but never really seen it – it is on our bucket list! I agree – such a great mantra! Like you, I’ve spent my life stepping our of my comfort zone. I have a promise to myself even now that every year I do something that scares me (which in truth is quite a lot), even if they’re just little things. I am terrified of slipping into ‘just a life’, but it’s hard as I have little time to really go adventuring, and I really would love to have someone to come with me (my OH is no longer keen on my type of adventures). I am very very much looking forward to reading about your horses!! What a girl you are! PS I used to have Welsh ponies and really loved them. I found the affection and trust of a horse is not always easy to win, but incredibly precious once you have it. I;m not the world’s greatest rider, but I do enjoy it; however, I enjoyed just being with the horses even more.